"Heart Like A Hand Grenade"? Eleven years ago, Bay Area based punk rock band, Green Day, released their most widely talked about album to date. 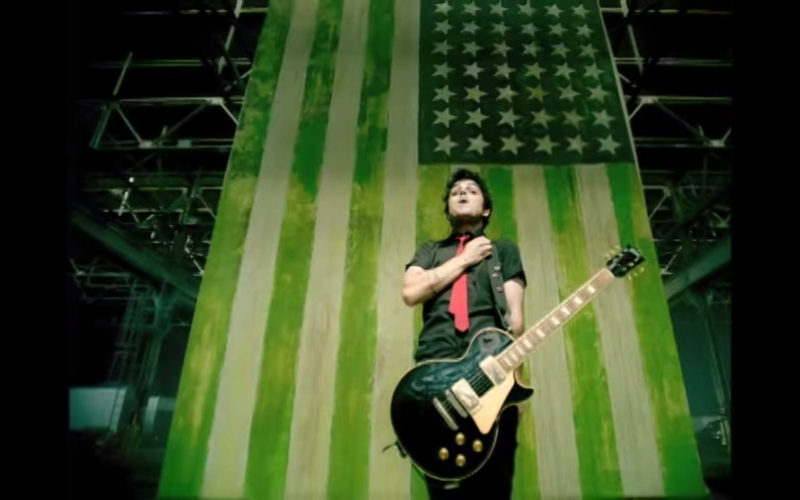 American Idiot saw the band explore a side of themselves that fans hadn't quite seen yet and, inevitably, thrust the band into the mainstream. Curious fans will finally get to experience what it was like to create American Idiotbecause a documentary, shot 12 years ago, is set for release later next month. Heart Like A hand Grenade will hit theatres in mid October and will document the making of Green Day's Grammy winning American Idiot. Watch the trailer for "Heart Like A Hand Grenade" below. Green Day - Heart Like A Hand Grenade (Theatrical Trailer) from Heart Like A Hand Grenade on Vimeo.